THE CONTRACT FOR the controversial Poolbeg incinerator in Dublin could expire this Sunday. It has been revealed that the contract for the proposed incinerator includes a clause which permits Dublin City Council to extend, renegotiate or terminate the contract. The agreement was originally signed into force on 4 September 2007. RTÉ‘s Prime Time revealed last night that Poolbeg contract, between the US developer Covanta and the Dublin city councils, outlines certain conditions that must be met within a 36-month period in order for the facility to go ahead. That timeframe would expire this Sunday, 5 September 2010. If the specified conditions have not been met the local authority the have the option to terminate the agreement. 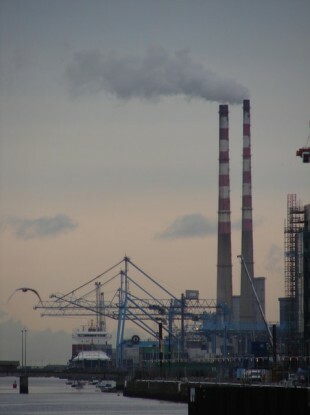 The building of Poolbeg incinerator has been opposed by some local residents, who believe the facility is too large. Minister for the Environment John Gormely has also opposed the incinerator, asserting that the facility is not an environmentally sustainable option and would, ultimately, be a strain on the taxpayer. Gormley has been calling for a renegotiation of the Poolbeg contract between the Covanta and the Dublin city councils, and has been requesting a copy of the contract for some time, according to RTÉ. Covanta has been deeply critical of Gormley as he has so far refused to grant the facitlity an offshore licence, which is required for the project to proceed. Dublin City Council has refused to comment on whether the contract will be renegotiated – or if has already been – saying that the topic is “commercially sensitive”. However, the authority insisted that project is “in line with current EU and Irish Government waste policy”. Email “Poolbeg contract has negotiation clause”. Feedback on “Poolbeg contract has negotiation clause”.